« Should You Buy a New Car in 2009? Could an EcoBoost Shelby Mustang Be Coming? An EcoBoost V8 as the next big thing? If a V6 EcoBoost has the performance of a V8, what happens if you build an eight-banger EcoBoost? An EcoBoost V8 Shelby GT500 Mustang? More power, less fuel consumption, lower emissions. The claims for Ford Motor Co.’s EcoBoost engine seem almost too good to be true, but the automaker is ready to offer the technology in as much as 90% of its line-up by mid-decade, and is planning to expand the engine variations using the advanced technology that makes such promises possible. Until recently, Ford would only discuss the EcoBoost that is being used on the new, aluminum 3.5-liter V6, though it now has confirmed a version of the system will go onto an inline-four, as well. 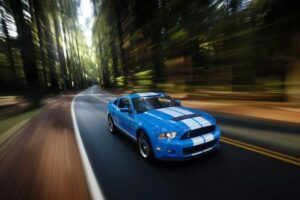 But several sources are telling TheDetroitBureau.com that Ford is considering using the EcoBoost technology on a modified V8, as well, which might serve as the replacement for the big block eight-banger now used in such muscle cars as the Shelby Cobra Mustang. Meanwhile, a report in the Detroit News claims that the automaker is also taking EcoBoost technology in the other direction, with a possible 1.0-liter I4 application that could be used in future small cars, such as the Fiesta subcompact coming to the U.S. in mid-2010. Ford plans to generate a 35% increase in its fuel economy by mid-decade, a massive achievement – if it works. The company backed off from an earlier promise, dubbed “25 in 5,” to increase SUV fuel economy 25% in five years. While hybrids, electrics and other alternative powertrain systems will help meet the latest goal, company officials, including product development chief Derrick Kuzak, have said that EcoBoost will play the critical role in getting there. The underlying technology is, in many ways, similar to what has made the diesel so popular in Europe: high-pressure direct injection and turbocharging – in this case, small, twin turbos that avoid the classic “turbo-lag” that used to frustrate motorists waiting for the devices to “spool” up and provide an added boost to acceleration. Ford technicians claim that EcoBoost delivers a significant portion of the mileage gains that would otherwise come from switching to diesel, which Ford doesn’t see much of a market for in the U.S. The automaker is still in the early roll-put phase with EcoBoost, which is making its first appearances on models like the 2010 Taurus SHO, the 2010 Lincoln MKS and the updated Ford Flex “people mover.” Other models, such as the F-150 pickup, are due to get the technology. And it will begin to roll out overseas, in places like Australia, as well. The initial demand for the vehicle has been far stronger than anticipated, despite Ford’s own upbeat forecast. The SHO is accounting for 20% of overall Taurus sales, while EcoBoost models account for 40% of the new Lincoln MKT, the Detroit News quotes Amy Marentic, the automaker’s marketing manager. That’s 15 points higher than anticipated. With the automaker demanding a premium of $5,000 to $7,000 for models equipped with the powertrain – a figure that typically includes other optional gear – that has helped Ford sharply drive up the transaction prices for its products, this year. But for now, at least, Ford is moving ahead aggressively. 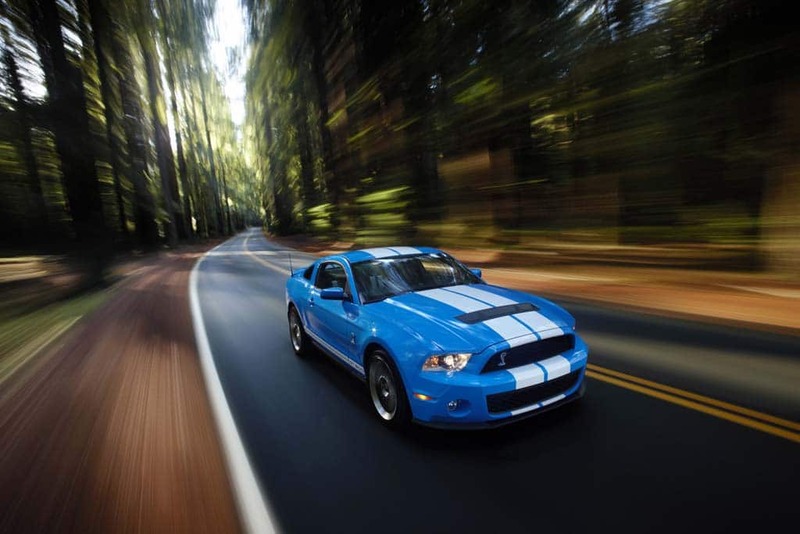 There has been talk about using the EcoBoost in performance and muscle cars. And if a V6 would do, what about a V8? The system is flexible enough to adapt to a wide range of engines. With a V6, like the one in the SHO, EcoBoost is turning out 365 horsepower. This entry was posted on Friday, November 13th, 2009 at and is filed under Automobiles. You can follow any responses to this entry through the RSS 2.0 feed. Both comments and pings are currently closed.